http://www.corbettreport.com/mp3/2019-03-26%20Liberty%20Weekly.mp3 Today James joins Patrick MacFarlane and Keith Knight, the co-hosts of the Liberty Weekly podcast, to recommend books. From non-fiction to fiction, from propaganda to exposes, from liberty to conspiracy, from the serious to the light-hearted, here are a couple of dozen books to add to your reading list. 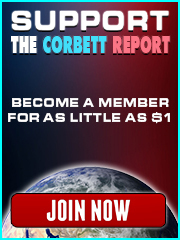 http://www.corbettreport.com/mp3/2019-03-07%20Financial%20Survival.mp3 James joins Melody Cedarstrom on the Finanical Survival radio show for their regular, bi-monthly conversation. This time we discuss the disappearance of the middle class, universal basic income, the International Criminal Court, the Trump-Kim summit in Hanoi and the recent flare up between India and Pakistan over Kashmir. http://www.corbettreport.com/mp3/2019-03-06%20Andrea%20Saltelli.mp3 What is the crisis of science, and what does it tell us about the interface between science and policy? Is there a way to stop the debate over the crisis from becoming a political battling ground? And, if not, what does this mean for the future of science itself? Join Professor Andrea Saltelli and James Corbett for this in-depth exploration of the philosophy of science today on The Corbett Report. 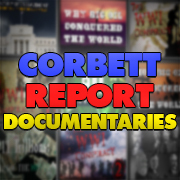 http://www.corbettreport.com/mp3/2019-02-26%20Vinnie%20Caggiano.mp3 Vinnie Caggiano (aka Vincognito) joins us to discuss everyone’s favourite subjects: The Beatles and conspiracy theories. From the wacky to the laughable to the thought-provoking, join us for this surprisingly thorough dissection of conspiracy lore surrounding The Beatles and their place in the manufactured mass media universe.